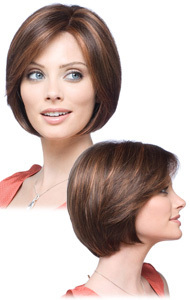 A super sleek layered bob, complemented by natural side swept fringe. 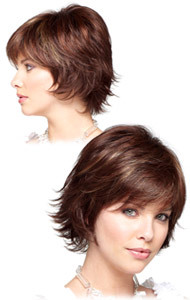 Tamed or tousled, this sassy cut has a winning personality no matter how you style it. 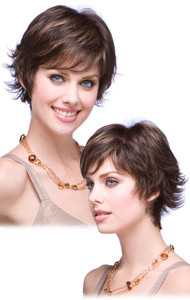 Soft layers with a razor finish complete this playful look. 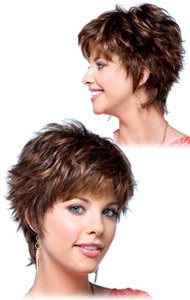 This eye-catching, feathered layer cut is fun and carefree. 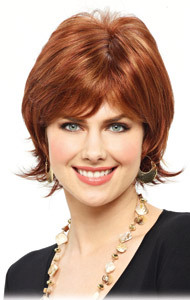 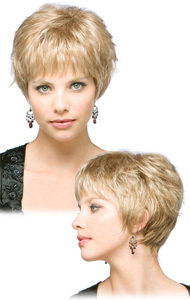 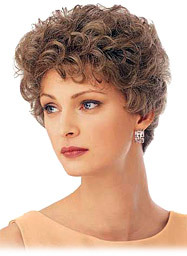 The wigs we feature are famous for their precision cut and "Shake and Wear Styling". 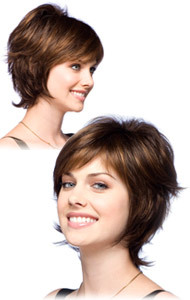 If by chance you would like to personalize a style even more, professional cutting, trimming or size alterations are available for an additional charge of $45. 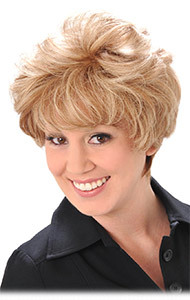 One of our wig consultants will bis. 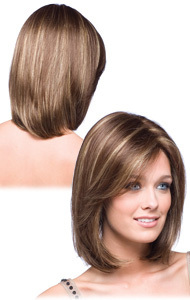 We assure you that you will be extremely happy with this additional service we offer.